The plan drawn up by Zaha Hadid Architects envisages a sleek building envelope based on geometric as well as organic forms. 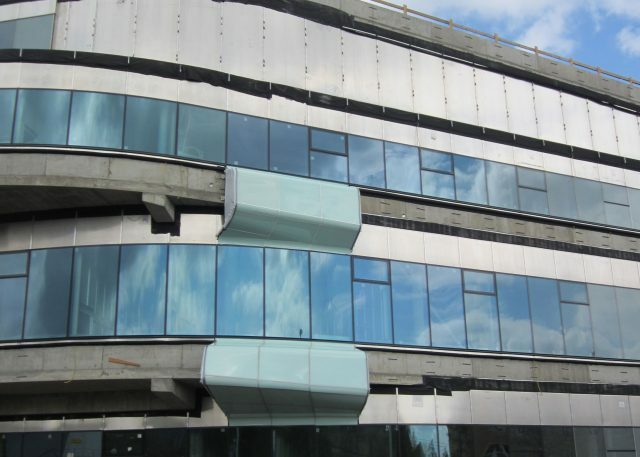 The facade surfaces consist of opaque and transparent sections. 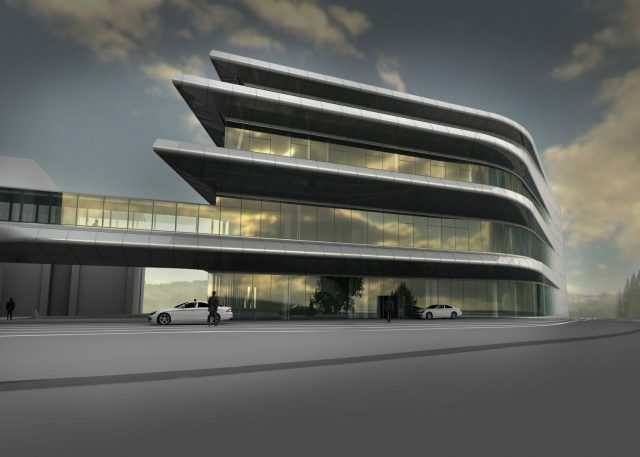 The glass facade consists of white opaque, cylindrical and aspherical curved and flat panes of glass, some of which are fitted with PV solar panels. To achieve the desired sleek surface, there had to be no visible mechanical attachment at all. It was therefore fixed on the building by means of adapter frames bonded on the rear. The different pane constructions necessitated the use of different coating methods, which had to be coordinated to give a uniform appearance. It was not possible to use a ceramic screen printing method with curved panes of float glass, so a polyurethane resin-based liquid plastic coating was used as an alternative. 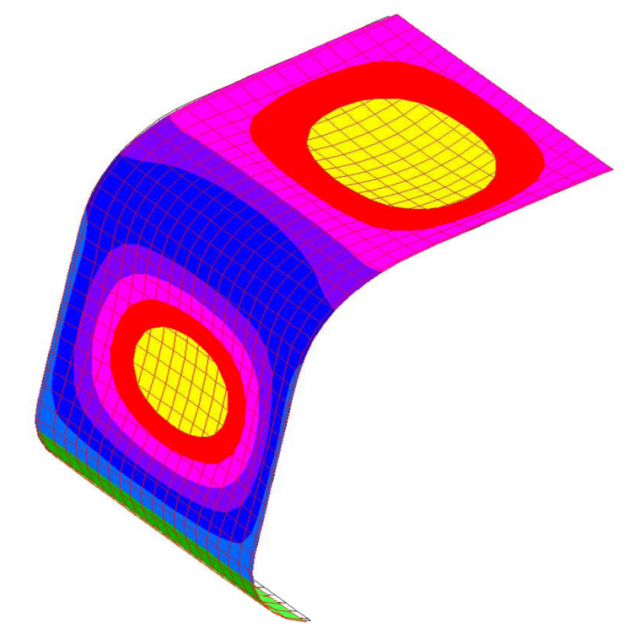 The dimensioning of glass thicknesses, adhesive depths and widths, and the substructure was realized by using the finite element method. The bonded joints and the fastening rails could thus be adjusted to the static requirements individually and optimally. The SSG sealant was meant to be used on untested substrates at an installation height over 26 feet with no additional mechanical glass retainer systems, so we had to deviate from the Etag-002-1 guideline. As a result, component tests and an advisory report from Munich University of Applied Sciences were required in order to obtain individual approval. These criteria were met during a component inspection and diverse material tests. 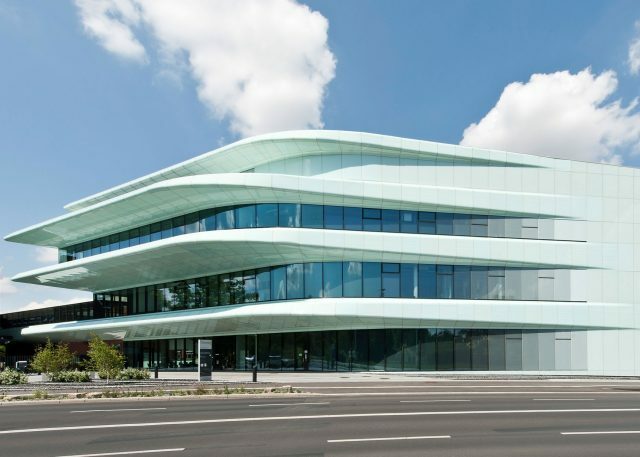 After confirming the technical viability of the solution, the method was visualized with the help of a model on the facade of the Fraunhofer Institute. 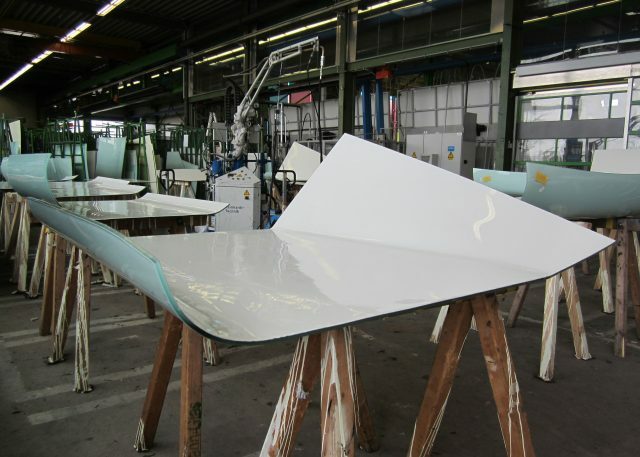 The panes were curved and the retainers glued on in strict compliance with the processes defined and tested during the approval procedure. The approval criteria included external monitoring and the accompanying documentation. 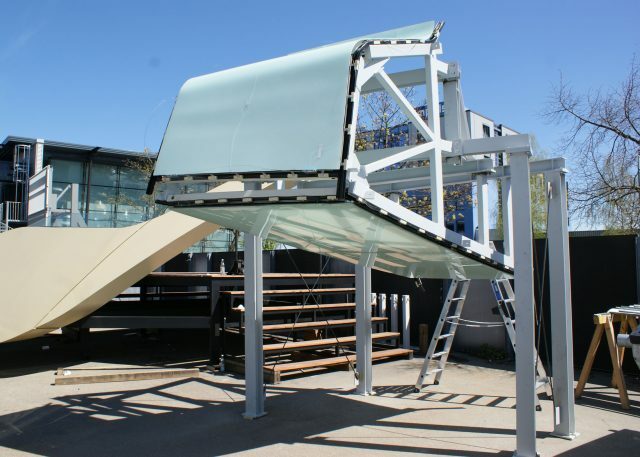 The partially curved substructure was hot-dip galvanized and fabricated in transportable element sizes. A hot-dip galvanized steel substructure following the shape of the building was erected. 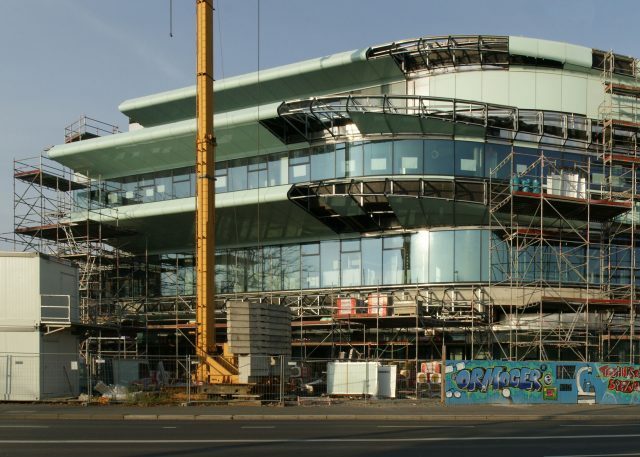 The glass elements with the factory-glued retaining construction were delivered and fitted in individual sections. A maintenance plan was drawn up in conformity with the approval process. This specifies the measures required on a regular basis and the cycles.